Sculptures! 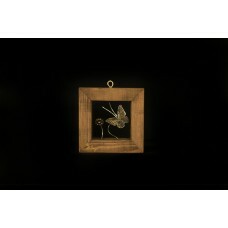 Unique hand-crafted works of art that, apart from recounting a little story, will make any place where they are placed. Original choice for gift to men, women and couples of all ages as most can become more personal and carry permanently on their surface, your own special message, wish. Sculptures that will steal the show and remind you of it forever. 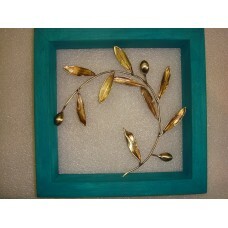 Handmade piece of brass on a wooden frame. Lost within the energy produced by mother nature. 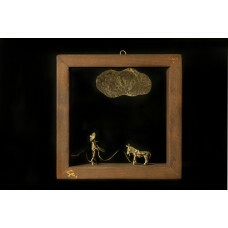 The cou..
As a traveling monk, now the horse has a heart of coura..
Frame for children, memories from elementary school frame 20 cm. By 20 cm. Figures from brass.. Clock wall, tumbler holding a long metal or wood balances biking on a wheel and rail running down th..